Pakistan committed a few mistakes in the 1st T20 match against South Africa. Though choosing to bowl first was a wrong right decision. I’ll tell you why. And how Pakistan can bounce back from this narrow margin defeat. Skipper Shoaib Malik’s idea was to insert the opposition and contain them to a chase-able total. And 193 was by no means an impossible target as proved by the close contest. Second, it was a brave decision. Bowling is undoubtedly Pakistan’s stronger suit so the plan was to restrict the opposition and then chase down the total. But it wasn’t to be. One can argue that the bowlers could have bowled better in the earlier overs of the South African innings. However, the main problem lies somewhere else. The selection. Yes, this is the biggest issue which needs to be sorted out immediately. Also Read: Can Shoaib Malik Kick Out Sarfraz as Captain for the World Cup 2019? Hussain Talat is by no means a T20 player and his slow-ish inning was not acceptable considering Pakistan had to score almost 10 runs per over. 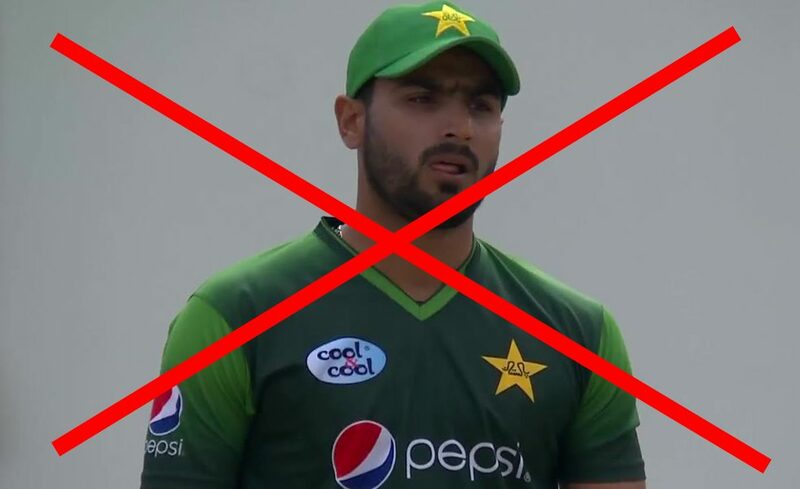 Some people will put the blame on Babar Azam whom I believe was playing beautifully. It was actually Talat who was struggling at the other end – finding it hard to clear the fence. By the way, it was just not this innings; each innings of Hussain Talat is more or less the same. You know why? For a cricket viewer, just observing his batting can lead you to this conclusion: he cannot hit the fours or sixes that this format demands. His game is more suited to 50 overs format. I wonder why the team management cannot fathom this. Moreover, Babar scored his 38 striking at a rate of 140 which is pretty good as his job is to anchor the innings. What Hussain Talat needed to do was either try to smack the ball out of the ground or get out. Unfortunately, it was too late when he was dismissed. His inability to up the ante was evident. Perhaps it is not his fault that the ‘genius’ selectors have included him in the wrong format. The other issue is the batting order. There is no point saving your big-hitters down the order in a format like T20 especially when you have to chase a big total. And the fact that you’ve two anchors (Babar Azam and Hussain Talat) playing together. So, a smart move would have been to promote Imad Wasim to give some momentum to the chase as he has been in good form of late. Plus, he is a powerful striker. In addition, Asif Ali could also have been used as a floater – I’d have sent him at one down instead of Talat – giving him free license to launch an attack on the opposition bowlers. Now let’s dive deeper into this problem and look at T20 career strike-rates of Pakistan’s top four. Babar Azam, who opens in the T20 format has a career strike-rate of 125. Shoaib Malik, the stand-in captain, is striking at 124. Add Hussain Talat’s strike-rate of 119, and your team is bound to be in trouble. This might seem like a minor issue to you but in a knockout game where you’ve to chase down or even set a big total on a flat wicket, it can prove to be a crucial factor. Fakhar Zaman, Babar Azam, Asif Ali, Imad Wasim, Shoaib Malik, Shadab Khan, Hasan Ali, M. Rizwan, M. Amir, Shaheen Afridi, Usman Shinwari. This lineup will ensure the big-hitters team up with the anchor to post a big total or chase down a challenging target. And as you can see I’ve discarded Hussain Talat and Faheem Ashraf – the reason being the lack of utility they provide for the team. Faheem hasn’t shown much prowess with the bat so I’d rather play a specialist bowler in Amir. If you look at India, their top 4 batsmen in T20 lineup score at a much better pace than that of Pakistan’s. The green team should make these adjustments in their batting order if they aspire to stay the number one T20 side in the world. Lastly, bringing back Shaheen Afridi, who was by far the best Pakistani bowler in the recently concluded 5-match ODI series against South Africa, will give a definite boost to the bowling unit. I’m backing the men in green to bounce back to make it 12th successive T20 series wins. Are you?